campaign by listening, and as a councilmember I will make your voice heard. represented our neighborhoods. Each is someone I admire. Experience as a financial steward who brings a business perspective to government. City Council approves $2.0B+ in budgets and additional infrastructure investments. 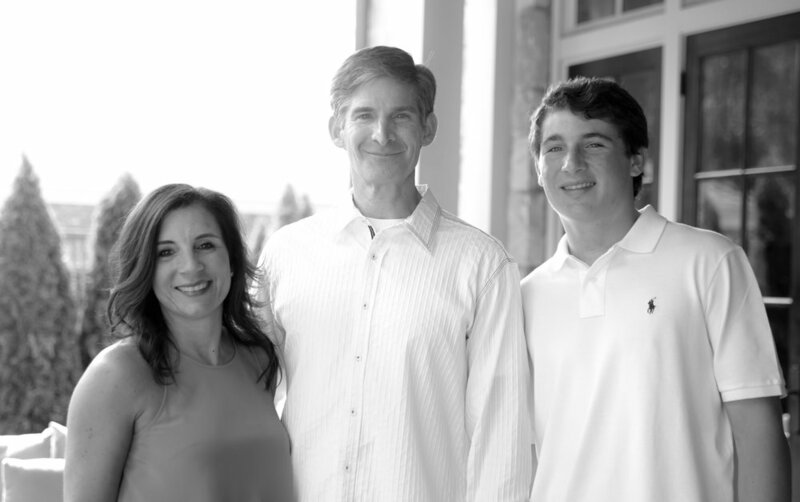 As a Chief Financial Officer, J.P. has experience dissecting and approving budgets, as well as ensuring projects deliver a return on investment. Experience listening to the community to understand the issues. 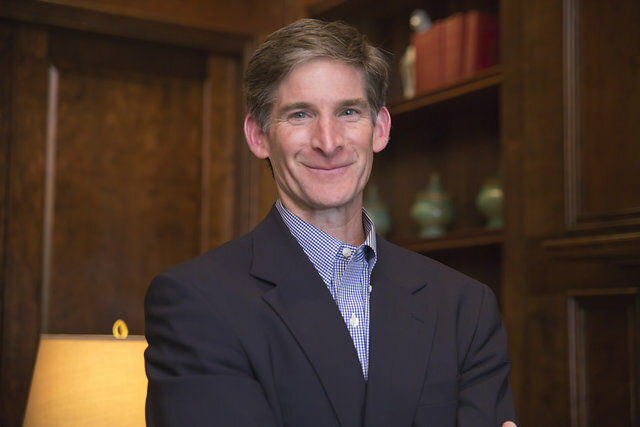 As Founder and President of the Chastain Park Conservancy, J.P. has over 15 years experience working with the community to understand issues and priorities. Listening was the first step in developing the Conservancy’s 2008 Master Plan that J.P. spearheaded and that was approved by all 26 Atlanta Neighborhood Planning Units (NPUs). Successful track record working with the City and business community to get things done for District 8. J.P. was a leader in the Chastain Park Conservancy’s recent $5+ million capital campaign that leveraged City of Atlanta funds and private donations to deliver two major park improvements: the widening of the Powers Ferry Path and expansion of the playground. Lived in Atlanta nearly half my life; currently resident in Chastain Park with my wife, Linda, son, Grant, and labradoodle, Lily Belle. Chip in and donate to help fund our campaign. We need your help to make this campaign effective. Join our mailing list to stay connected and informed about our campaign. My commitment to making your voice heard is central to my candidacy, because working in tandem is the one, true way we can address the challenges facing our city. I want to hear from you on issues that matter to you. I want you to share your good ideas and out-of-the-box thinking. Together, we can get results at City Hall. Neighbors of yours and mine have graciously agreed to host meet-and-greets in their homes so that you and I can meet and exchange ideas face to face. For all the details, click here. I hope to see you at a meet-and-greet soon. You will be heard. To RSVP, please click here, or email JP@JPforATL.com, or phone 404-233-9162. Thank you. 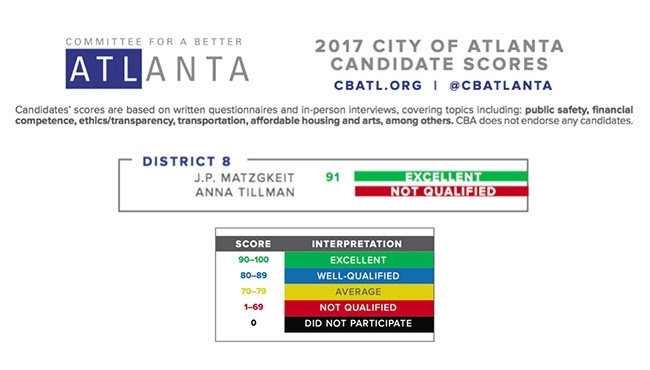 I'm honored to receive an "Excellent" ranking from the Committee for Better Atlanta, which conducts a thorough review and ranking of Atlanta's candidates. More info can be found on the CBA's website. "ATLANTA'S POLICE UNION - IBPO LOCAL 623"
I'm honored to receive the endorsement of Atlanta's Police Union, IBPO Local 623. I'm honored to receive the endorsement of the Atlanta Firefighters Union Local 134. I'm honored to receive the endorsement of the Buckhead Coalition, whose membership is comprised of 100 CEOs of major area firms. Honored to receive the endorsement of the Atlanta Realtors Association and the Atlanta Commercial Board of Realtors. I'm honored to receive the endorsement of the Atlanta Retailers Association.